With Dubai Cares, the Aga Khan Foundation (AKF) in East Africa is integrating information and communications technology (ICT) into its programming. How to harness the power of ICT to transform student learning and teacher professional development in Kenya and Uganda. 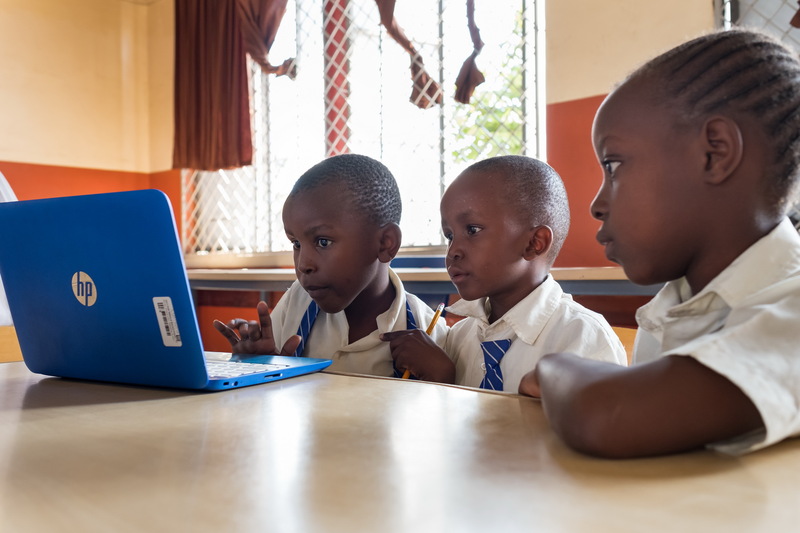 The Aga Khan Foundation, in partnership with Dubai Cares and the governments of Kenya and Uganda, recently completed a ground-breaking programme in understanding how best to leverage education technologies (EdTech) to enhance learning outcomes in some of the most marginalised classrooms in the world. The US$ 1.8 million joint EdTech programme has benefited more than 100,000 learners and 1,200 teachers across 100 schools in Kenya and Uganda. The joint EdTech programme made significant strides in bridging the ever-growing digital divide currently plaguing most classrooms within the East African context. For example, teachers were given new, globally informed, but locally rooted professional development training about how best to integrate technology into their pedagogical schemes of work and promote 21st century learning environments for all. Students, themselves, were able to explore newly developed ICT hardware and software that promoted reading and comprehension through locally developed, contextually relevant materials at scale. First, the Dubai Cares-AKF joint programme contributed to a new, co-authored global report by AKF and 17 UNICEF country offices in Sub-Saharan Africa, called ‘Raising Learning Outcomes: The Challenges and Opportunities of ICT for Learning’; outlining key lessons about ‘what works, for whom’ in leveraging EdTech for improved learning outcomes. The report has since been shared across all 190 UNICEF country offices and is being used to better equip country-level decision-makers with new evidence and insights about how to meaningfully use EdTech in real-world classrooms for improving learning at scale. Second, the Dubai Cares-AKF joint programme contributed to the co-design of a new digital education information app called PROMISE3 – the Programme Management Information System for Education by Everywhere, Everywhere - that will now offer local education stakeholders with the means to better collect, analyse and act on real-time data related to educational enrolment, attendance and learning outcomes through both online and offline digital platforms. Cambridge University recently published a case study about how the design of PROMISE3 adopted human centred design principles at scale and was featured at the 2018 Global Education Skills Forum in Dubai. Third, the outcomes of the Dubai Cares-AKF partnership will now inform a new, 10-year, 10-country longitudinal global action research programme called Schools2030 that will seek to further understand why some schools are succeeding ‘against the odds’ and amplify local champions of education innovations, including EdTech, to better inform the future of global educational research, practice and policy.